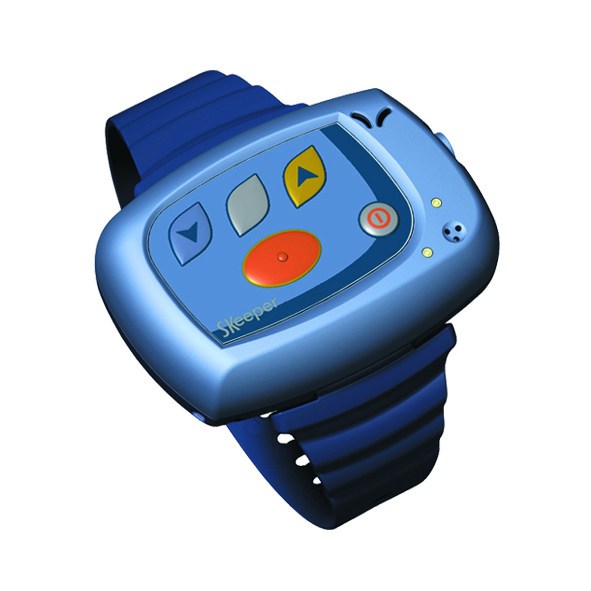 Mobile Tornado and Aerotel Medical Systems jointly present SKeeper(TM) -- a compact wearable mobile communication and safety device designed by Aerotel and integrated with Mobile Tornado's services platform. Mobile Tornado, world's leading provider of universal mobile applications such Push to Talk and Push to Video and Aerotel Medical Systems, one of the world's leading manufacturers of advanced telemedicine and telecare solutions jointly present SKeeper(TM) -- a compact wearable mobile communication and safety device designed by Aerotel and integrated with Mobile Tornado's services platform. The new device promises to make life safer and easier for elderly people, chronically ill patients, children and lone workers. SKeeper(TM) will be demonstrated in the upcoming Mobile World Congress in Barcelona, 11-14 February, 2008, by Mobile Tornado (Hall 1, booth 1G55) and Aerotel (Hall 4, Level 1). SKeeper(TM) is intended to provide peace of mind for its users, their families and caregivers. It enables users to carry on with their daily routines, without compromising safety or well being, by enabling them to stay in touch with relatives and caregivers in case of need. With SKeeper(TM) integrated with Mobile Tornado's Push-to-Talk Service, elderly people get immediate assistance by simply pressing a single button on the device and connecting with the assistance force immediately without a dial up delay, and parents can rest assured that their children can easily contact them should they be lost or need assistance. Doctors, Safety Personnel and Parents can receive wearer's geographical position and contact the SKeeper(TM) users immediately, using any mobile handset or PC in order to deliver warnings or instructions should the need arise. "Integration of Mobile Tornado's Push to Xperience with SKeeper(TM) demonstrates the extreme versatility and flexibility of our solution, delivering next generation communication capabilities. With instantaneous connection set up and ability to transmit any data in addition to voice stream permits us to utilize the platform in order to create new and innovative products like SKeeper(TM)," says Jorge Pinievsky-President of Mobile Tornado plc. "SKeeper(TM) is taking Personal Emergency Response Systems (PERS) and social alarm systems, to the next level," says Ofer Atzmon, VP business development at Aerotel Medical Systems. "Fitted with a safety call button it can activate an instant warning signal or initiate a voice call in case of need, enabling wearers to get immediate care and assistance on one hand and giving safety personnel and parents an ability to track the wearer online and contact him anytime, anywhere on the other." Using its embedded wireless module and powered by Mobile Tornado's IPRS Solution, SKeeper(TM) can activate instant voice calls to pre-defined numbers (e.g. a relative or a health professional) or receive calls from anyone. When a call is made to a monitoring center, a pre-defined message can be sent automatically to a relative. Incoming calls can be screened and/or answered automatically. Most of the product features, such as speed dialing numbers, auto-answering, predefined messages, etc. are remotely programmable by the monitoring center, or by the users or their authorized relatives via a user-friendly Web based interface. The unit is lightweight and easy to operate. It is wrist or neck wearable and can be carried on a belt or in the pocket. The next generation of SKeeper(TM), called GeoSkeeper(TM) will be equipped with a GPS for providing accurate user localization in case of an emergency. It will also be demonstrated at the event. The device works with most GSM/GPRS networks around the world. It is currently available in Europe, where distribution agreements has been reached in several key markets, including Israel, UK, Switzerland, Portugal, Sweden and Finland. A North American version will be released later this year. Mobile Tornado is world's leading software vendor of convergent live communication solutions. Mobile Tornado delivers cost-effective and reliable Push-to-[X]perience solutions suit which includes Push to Talk, Push to Video, Push to Mail, Push to X and Presence Indication modules as well as IM services and GPS integration. It's patented IPRS technology provides superior performance, security, interoperability and reliability while leveraging existing infrastructure investments of the operator in GPRS, CDMA 1X, CDMA 1X EVDO, UMTS, WLAN 802.11b, and CDPD data networks. Mobile Tornado has partnered with leading mobile groups including Alcatel, Ericsson, and T-Systems to offer pre IMS and IMS-based instant communication solutions. For further information please visit Mobile Tornado's website at http://www.mobiletornado.com, or visit us at the Mobile World Congress in Barcelona, 11-14 February, 2008 (Hall 1 booth 1G55). Aerotel Medical Systems is a world leader in cost-effective, high quality, user-friendly, medical diagnostic systems and devices for home care, eHealth and telemedicine. The company provides a complete disease management package; including transtelephonic devices designed for a variety of remote diagnostic, emergency services and monitoring applications, hardware and software platforms for remote monitoring call centers, as well as phone and web-based monitoring software. Aerotel enables patients to conduct tests comfortably while leading normal, mobile lives. With a client base in over 40 countries around the globe, Aerotel has been recently awarded the prestigious "Innovation and Growth Strategy Leadership of the Year Award 2007" by Frost & Sullivan. For further information please go to Aerotel Medical Systems website at http://www.aerotel.com, or visit us at the Israel Mobile Association (IMA) Pavilion at the Mobile World Congress in Barcelona, 11-14 February, 2008 (Hall 4, Level 1). Aerotel Medical Systems - Telemedicine & Telecare Solutions Aerotel Medical Systems is a world leader in cost-effective, high quality, user-friendly, medical diagnostic systems and devices for home care, eHealth and telemedicine. Mobile Tornado - Universal Mobile Applications Mobile Tornado is world's leading software vendor of convergent live communication solutions. SKeeper - Personal Wireless Safety DeviceSKeeper is a compact wearable mobile communication and safety device designed by Aerotel and integrated with Mobile Tornado's services platform.